Increase Student Engagement in 2 Easy Steps! 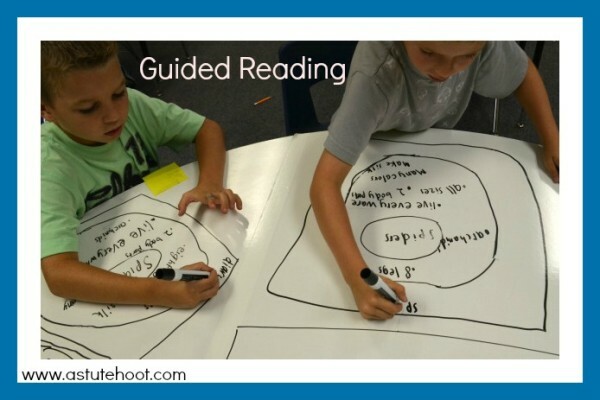 Create an amazing interactive whiteboard table for guided reading groups and math groups in two easy steps! Purchase a roll of self-adhesive dry-erase paper. 1. Measure Table. 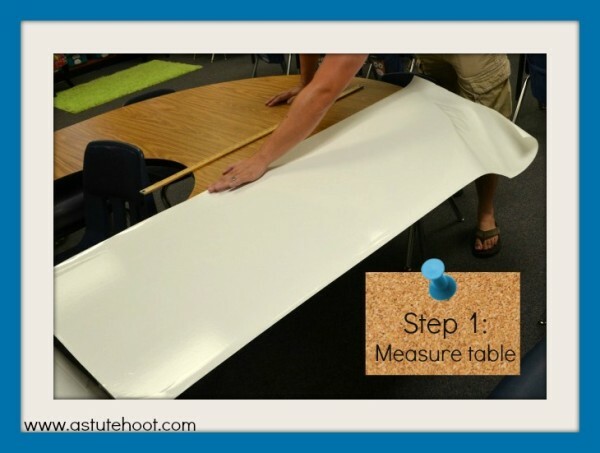 Use a yardstick or measuring tape to determine dimensions of table. 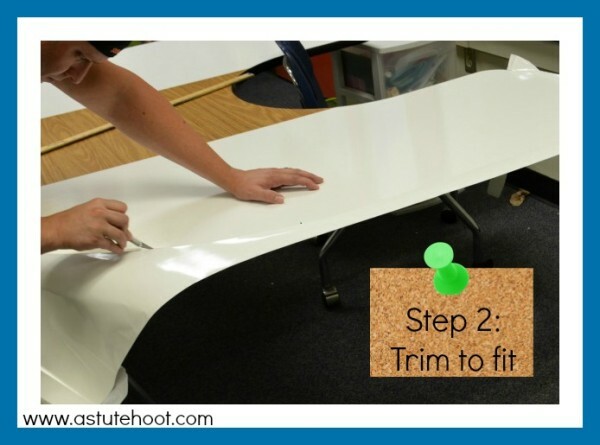 Roll out dry-erase paper and cut large sections to fit measurements. It is easier to do the sides first and then the middle. Working in three smaller pieces will prevent bubbling and wrinkling. 2. Trim to Fit: Use an Exacto knife to trim around the edges. Colorful duct tape can be used to seal the edge of the table to prevent peeling. My students LOVE using this table to share their learning and engage throughout the lesson in a novel way. 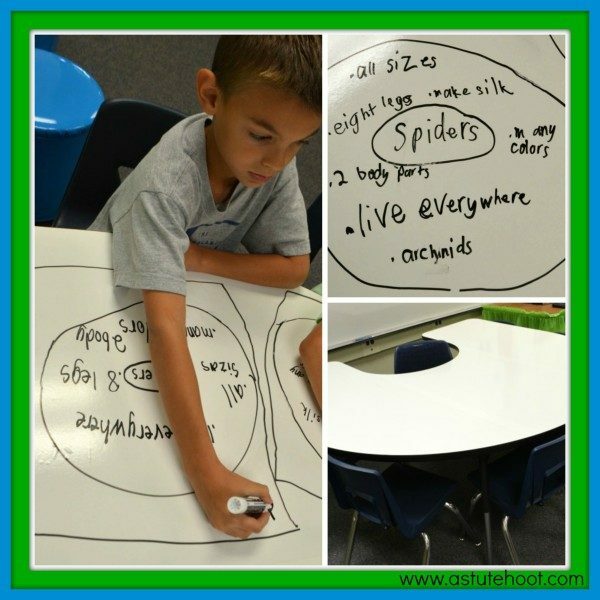 In guided reading, we use the dry-erase table to create Thinking Maps, cite evidence, ask and answer questions, and note connections. Students also write down key vocabulary words and illustrate the story elements. 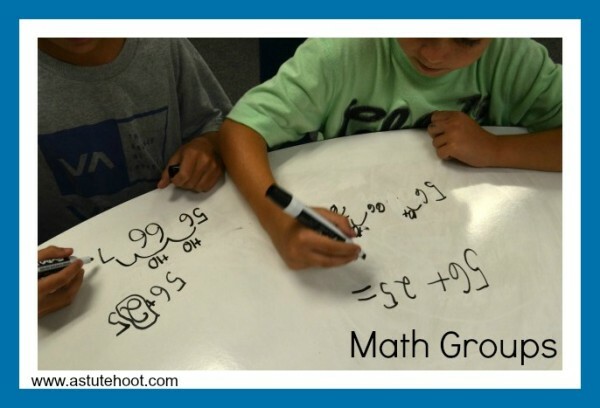 During math groups, we use the table to demonstrate thinking and solve problems. Students draw mathematical pictures, tallies, number lines, and number sentences as they work through problems. 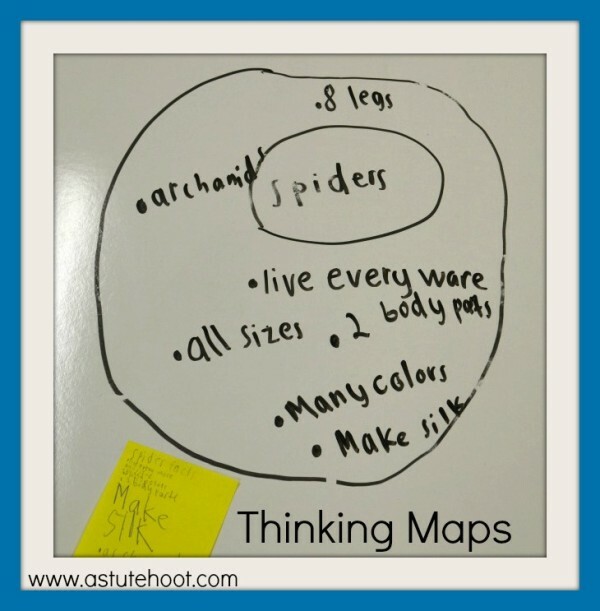 Students are encouraged to explain their work using their drawings. 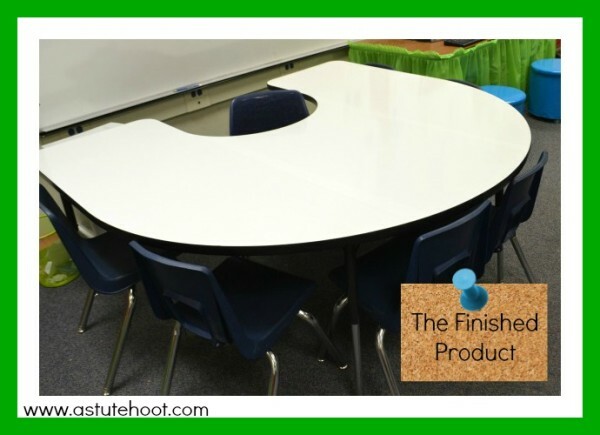 The whiteboard table can also be used as a behavioral incentive. Stars or points can be awarded to each student in a little square or circle near their workspace on the table to encourage on-task behavior and work completion.